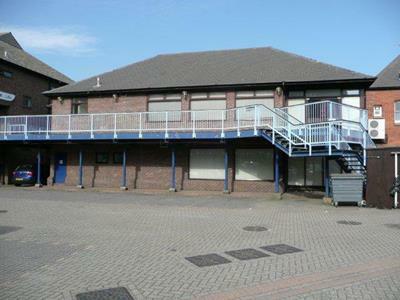 £40,000 per annum exclusive / Annual rent: A new full repairing and insuring lease for a term to be agreed. Sun Pier Chambers comprises a 2 storey building and is of traditional brick construction beneath a pitched roof. Accommodation is arranged over ground and first floors and comprises a variety of open plan and cellular offices together with storage, kitchen and separate male and female WCs. Heating is provided via gas fired central heating system, whilst windows throughout are double glazed. There are good quality decorations, carpeting and lighting also throughout. Externally there is a block paved car parking area within which there are 7 reserved parking spaces. Please note, the RV is NOT the actual rates payable. Rates payable are calculated by reference to the National Non-Domestic Rating (NNDR) multiplier which is set annually by Central Government. The current NNDR (2013/14) is 47.1p/£. Discounts and reliefs are available for qualifying small businesses occupying properties with rateable values below £18,000. Please note, this figure does not reflect the additional temporary relief that is available to small businesses until 31st March 2014. For properties with rateable values below £6,000, this may reduce the rates liability to as little as zero.